PMA’s two-day Die Maintenance Seminar offers a great lineup of topics presented by well-respected industry experts. Is there really a difference between die maintenance and die repair? Can my die designs be improved to ease maintenance on the shop floor? Is there a systematic way to select tool steels and heat treatments to improve die life? How can I reduce cutting, punching and forming problems in my dies? 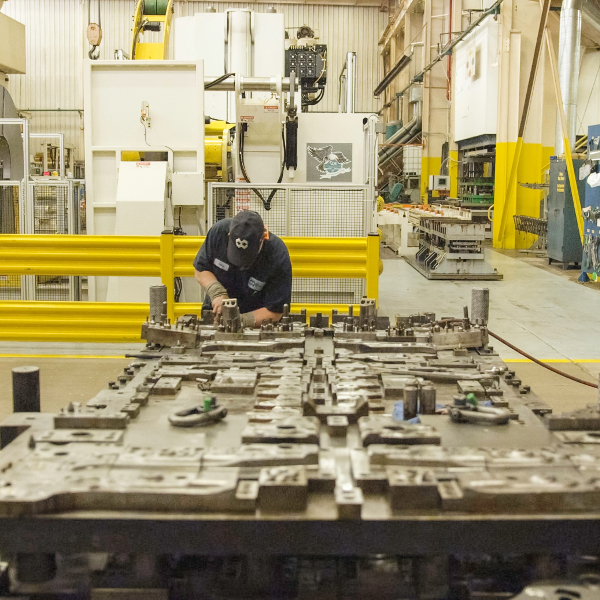 What role does the stamping press play in die-maintenance problems? What are the proper procedures for die welding? Attendees will learn answers to these questions as well as solutions and troubleshooting techniques for actual die-maintenance issues. Do you have a difficult die-maintenance problem? Why not discuss it with our expert presenters? Reserve your room online or call the hotel reservation line at 877-834-3613. Reference PMA Precision Metalforming Association (Group Code: PM1) to receive the group rate of $129 per night (plus tax). The PMA group rate is available through February 5, 2019. Reservations made after this date are subject to availability at the hotel’s prevailing rates. Hotel provides complimentary shuttle service to and from the Greenville Spartanburg Airport (GSP). Please make arrangements with the hotel for your pick-up. Hotel also offers free self-parking and Wi-Fi. Register early by January 21, 2019 and save $100! For more information or to register over the phone, please contact Marianne Sichi at 216-901-8800.